Good-bye to Enid’s, a Bar You Could — and Maybe Did — Go to Every NightI already miss having a normal place to go, to meet a friend for a drink and some food and for it to not cost each of us at least $50. Barbuto, a Literally Perfect Restaurant, Will Close in MayJonathan Waxman’s pioneering trattoria opened in 2004. 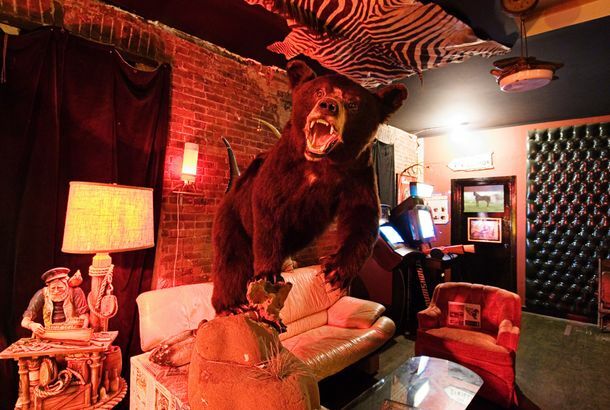 It Sure Sounds Like Café Loup’s Martini-Soaked Chapter Has ClosedThe literary haunt was seized for unpaid taxes for the second time in six months, and it doesn’t sound like it’s coming back this time. April Bloomfield Will Close the John Dory Oyster BarIt will be replaced by a flagship location of Christina Tosi’s Milk Bar. April Bloomfield Abruptly Closed Her L.A. Restaurant This WeekendThe restaurant was open for just over a (very tumultuous) year. A Soho Health-Food Destination Is Set to Close, and the Internet Is Melting DownThough there’s a petition to prevent it from happening. Mark Ladner’s Fast-Casual Pasta Flyer Will CloseThe chef is looking for a new space for the restaurant. New-Brooklyn Pioneer Battersby Will Close This MonthThe restaurant will host its last night of service on New Year’s Eve. 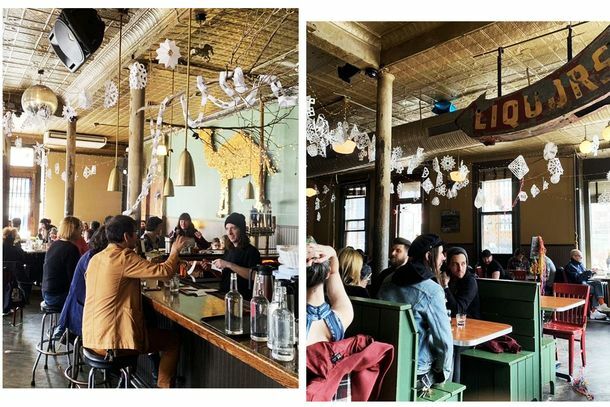 Delaware and Hudson Will CloseThe Williamsburg restaurant’s owner cited the looming L train shutdown as one of the causes. Another One of New York’s Great Thai Restaurants Has ClosedLarb Ubol shuttered this week, following Pok Pok Ny out the door. The Fire’s Gone Out for Good at Brooklyn’s the Smoke JointIt’s been converted into a new location of Peaches Hot House. Good-bye to Cucina di Pesce, a Relic of a Kinder, More Generous New YorkA rent hike forced the East Village staple to close its doors for good. Downtown’s Iconic Café Loup Seized for Unpaid TaxesThe restaurant is currently closed, and the situation doesn’t look good. One of Mario Batali’s New York Restaurants Will Close for GoodLa Sirena will shut down at the end of the year. 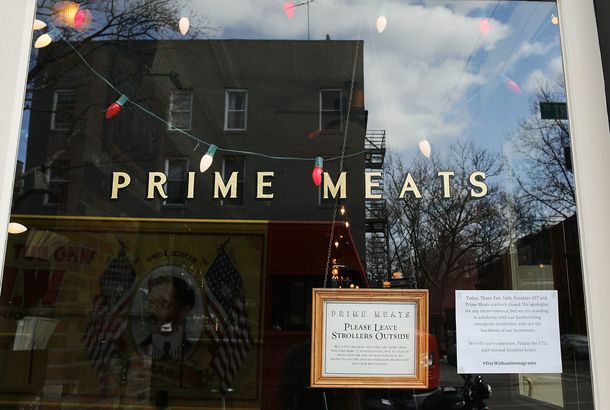 Brooklyn’s Prime Meats Will Close in NovemberThe owners plan to convert the space into a wine bar and an extension of their popular Frankies 457 Spuntino. Pok Pok Ny Will Close for GoodThe popular Brooklyn Thai spot will shutter on September 2. Brooklyn’s Only Papaya King Has ClosedAt least we had two years to relish it. Yuan Cuts the Noodle Loose in the East VillageIt’s the latest restaurant to make a quick exit at 157 Second Avenue. The City’s Most Beloved Century-Old Bakery Closes This SundayGlaser’s Bake Shop in Yorkville will sell its last black-and-white cookie this weekend. Another Bowery Restaurant Bites the DustHecho en Dumbo will follow Cherche Midi, DBGB, and Rebelle to restaurant heaven. Iconic Textile Designer Madeline Weinrib Is Closing After 20 Years“This has been an enormous decision,” she says. Nolita Standby Balaboosta Will Close in MayEinat Admony hopes to reopen in another location. 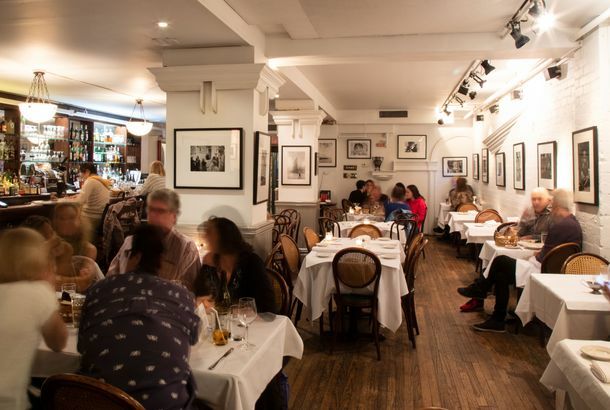 Cherche Midi’s Underdog Charm Made It a Perfect BistroThe lack of pretense made it feel more like a genuine bistro than any of the painstakingly sourced replicas that exist in NYC. 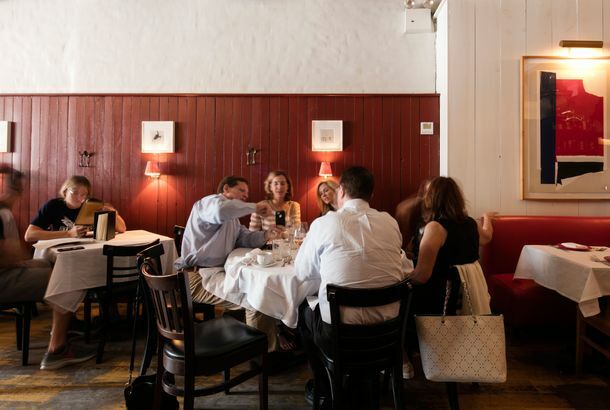 Cherche Midi’s Days Are NumberedA representative confirms it will shutter in early June. East Village Staple Three of Cups Will Close on April 1It looks like Emmy Squared is taking its spot. New York’s Silver Spurs Diner Will Close at the End of the MonthA manager says business just went south. Three Japanese Staples Will All Close This WeekendSapporo, reportedly New York’s oldest ramen restaurant, and its sister spots Iroha and Sake Bar Hagi will shutter. 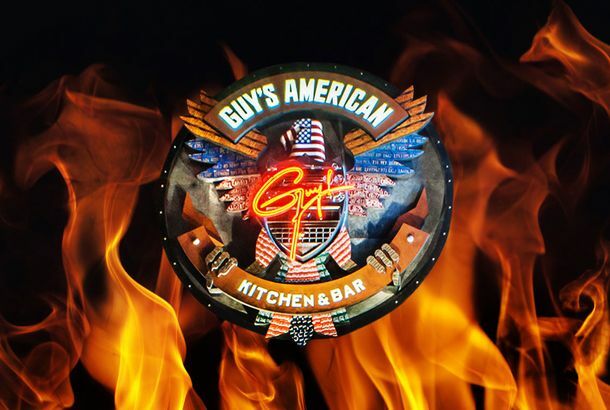 A Farewell to Flavortown: New Year’s Eve in Guy Fieri’s RestaurantOn its last night in existence, Guy’s American Kitchen & Bar didn’t exactly go out with a bang. A Complete History of Guy Fieri’s Times Square RestaurantWe’ll be honest: It’s mostly lowlights. Guy Fieri’s Much-Loathed Times Square Restaurant to Close ForeverThe final day of service will reportedly be New Year’s Eve. In Loving Memory of Saltie, a Sandwich Shop That Never Got StaleLong past the point where other operators might have started phoning it in, Saltie maintained a consistent level of quality and continued to innovate. 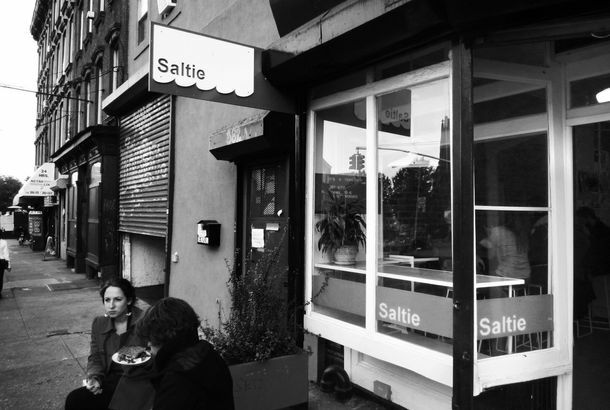 Williamsburg Favorite Saltie Will Close at the End of the MonthThe eight-year-old sandwich shop announced its closing today. Downtown French Favorite Rebelle Is Closing This WeekThis was Daniel Eddy’s first New York restaurant. 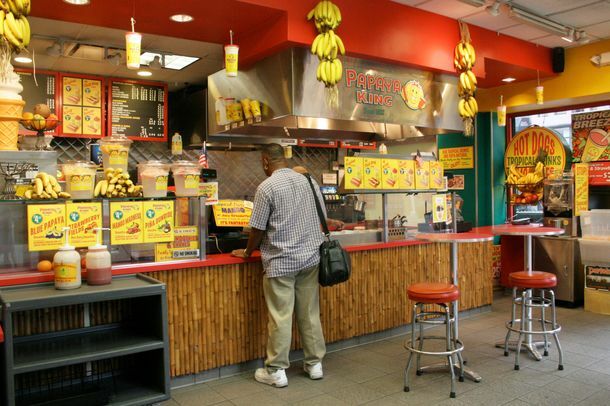 The East Village Papaya King Is a GonerA developer will tear down the existing building. Bobby Flay Will Close Bar Americain in MidtownMidtown’s 13-year-old brasserie shutters in January. East Village Music Mecca HiFi Bar Will CloseIts last day is October 29.